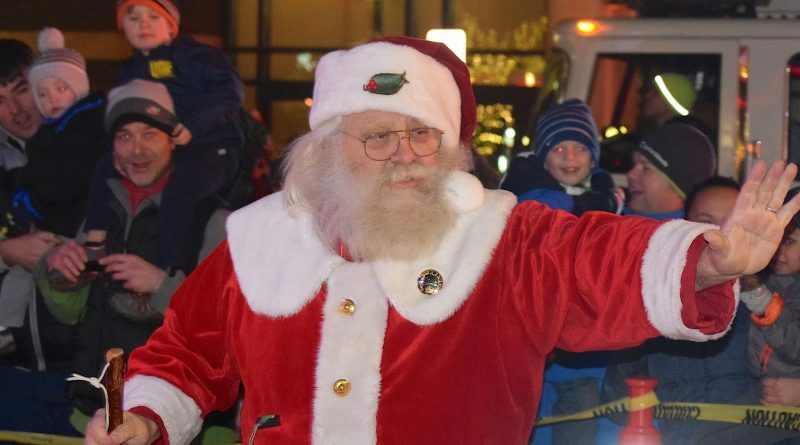 Santa arrives at the plaza with a little help from the Sterling Volunteer Fire Department. 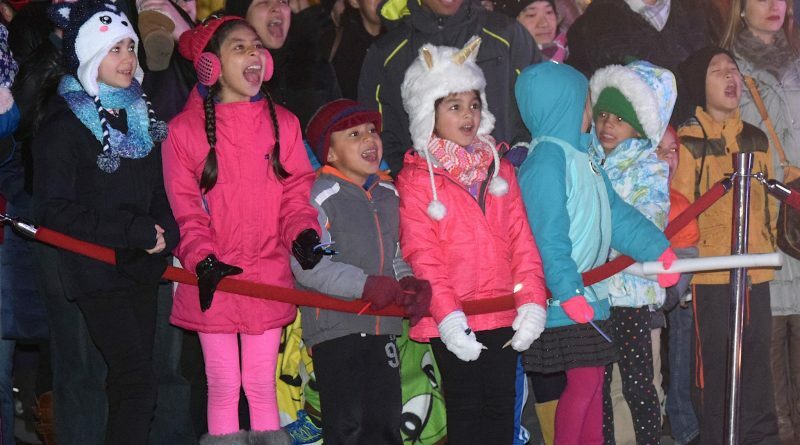 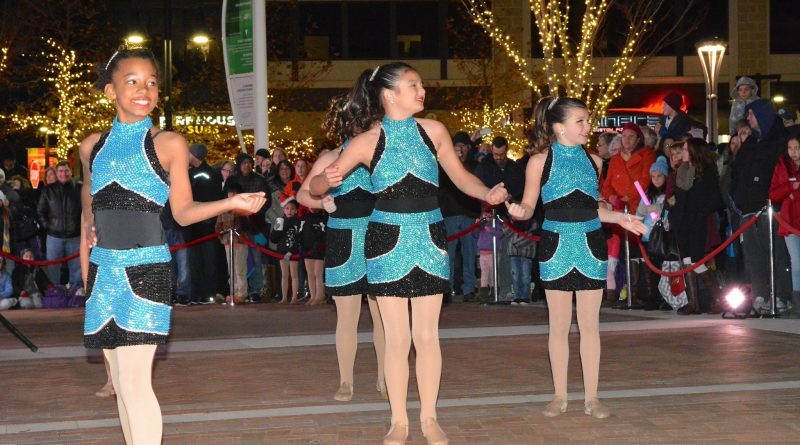 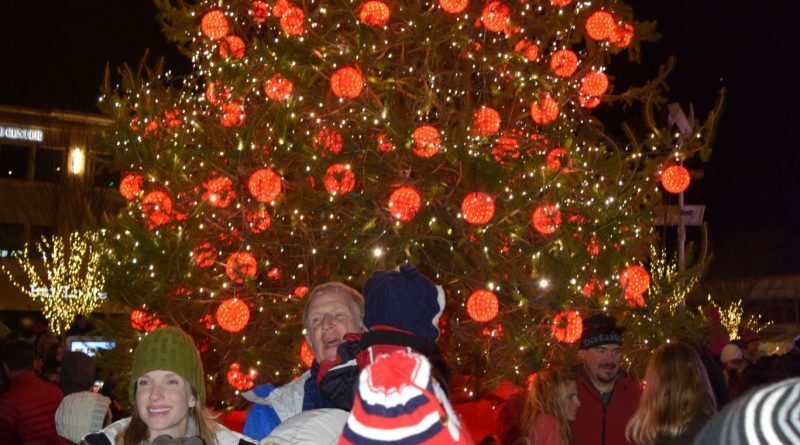 A crowd of thousands gathered in and around the One Loudoun Plaza on Saturday night for the community’s annual Christmas tree lighting extravaganza. 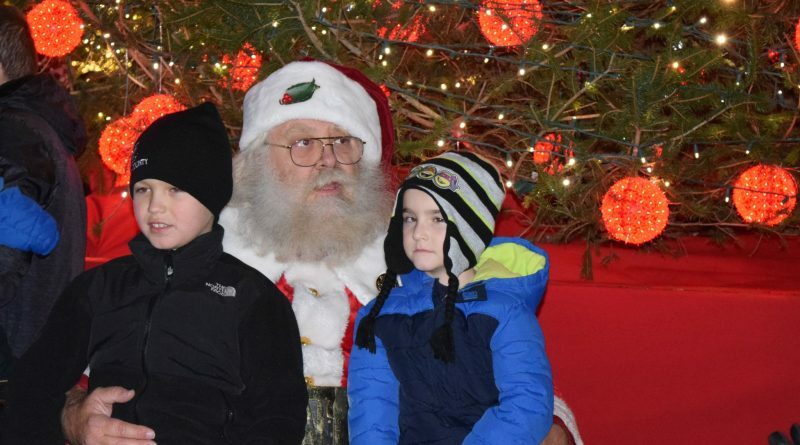 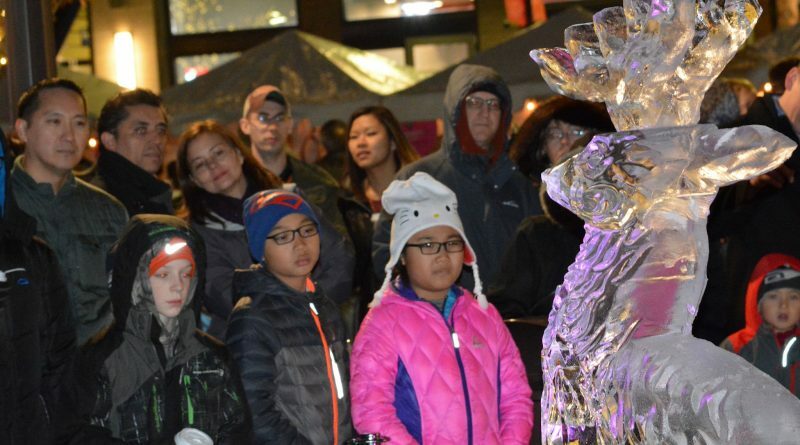 The event featured free food and vendor give-aways, performances by dance troupes, carolers, ice carving, fireworks and, of course, a visit from Santa. 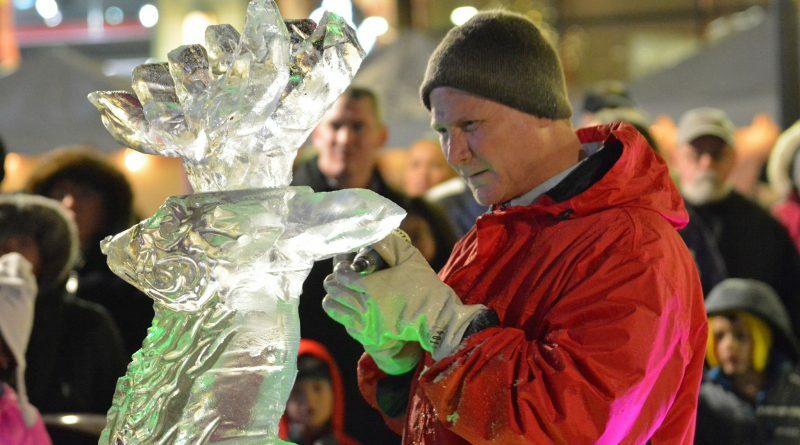 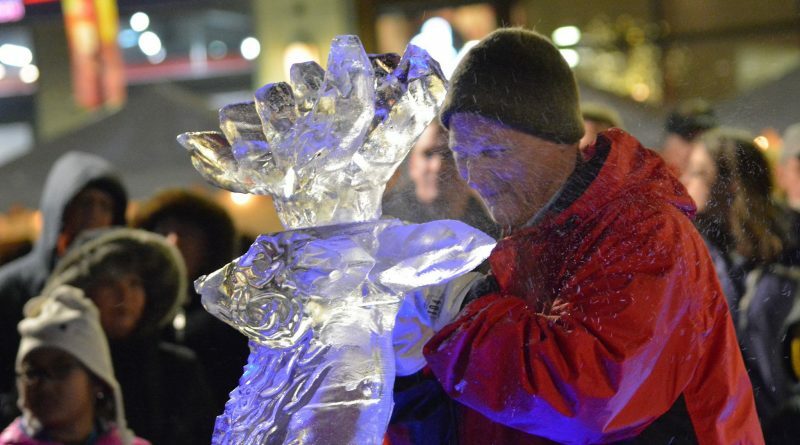 A reindeer emerges from a block of ice as a larger crowd looks on. 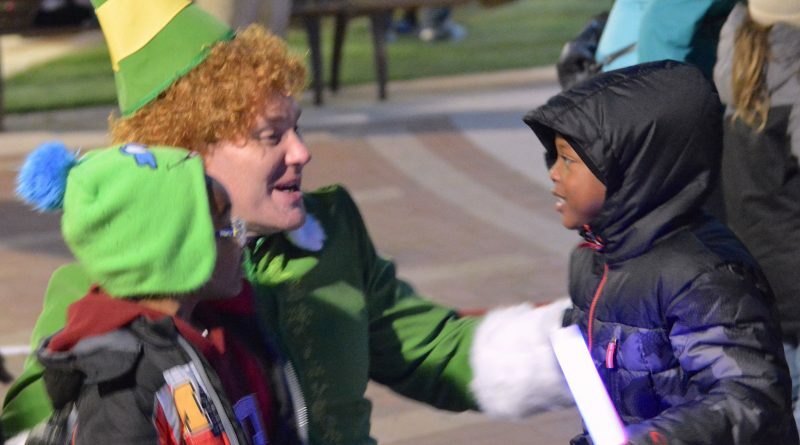 Buddy the Elf greets visitors. 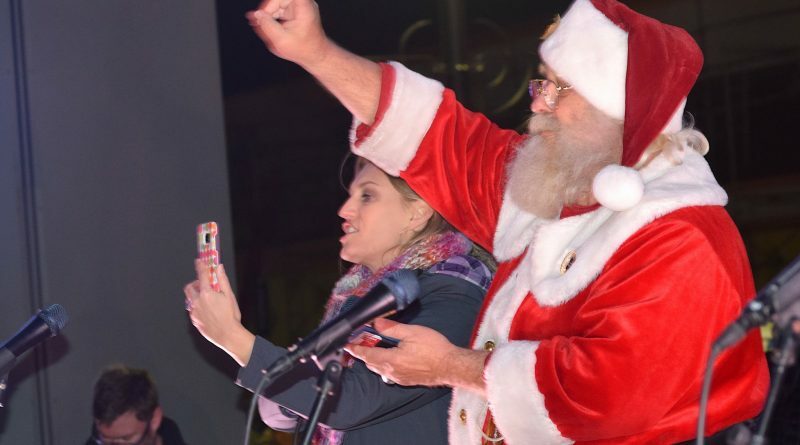 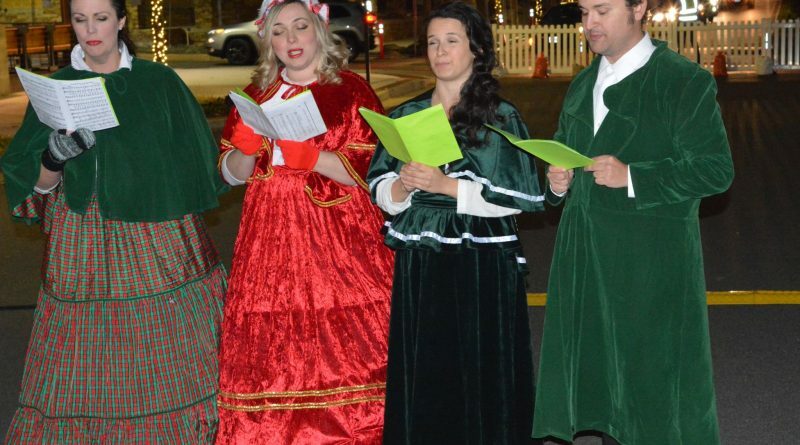 Santa and WINC radio’s Lisa Herndon lead the countdown to the tree lighting.